I always try to time my deliveries around lunch when I’m going through Emporia, Kansas. This is just one of the many reasons why! Darin is the nicest guy as is his staff and their enjoyment of having fun with recipes and ingredients, shows in the food they serve. 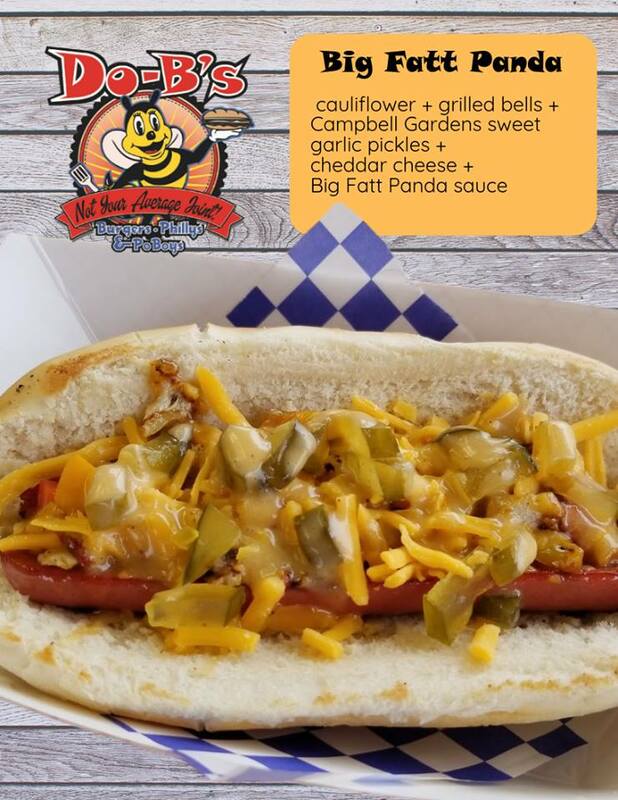 Always something new and sure to tantalize the taste buds and leaving you with a sigh of a full belly! Lucky you if you live in the area, otherwise take a road trip to the Do-B’s and be prepared for a mouthwatering experience. Posted on March 28, 2019 by Campbell Gardens. I received a phone call from Karen the other day. She was having a hard time locating our peppers in a Westlake Store. (The store is undergoing some remolding the last time I was in and the manager was not sure where our peppers were going to go). I mentioned several other stores in the area and she got back with me that she had found them. She loves our peppers and shared with me one of her of ways she likes to use our peppers. This is a post she shared with her friends! "OMG - it's addictive!! Several people have been asking for my dip and/or sandwich spread recipe. Forget the normal boring mustard, mayo, BBQ etc on your favor meat sandwiches ... this has a surprise KICK! Been using since last summer with Kings Hawaiian Rolls. So give it a try this holiday season." YUMMY = One container whipped cream cheese, Two (2) Tablespoons sour cream and minced Campbells Garden Candied Jalapeños. Posted on February 24, 2019 by Campbell Gardens. 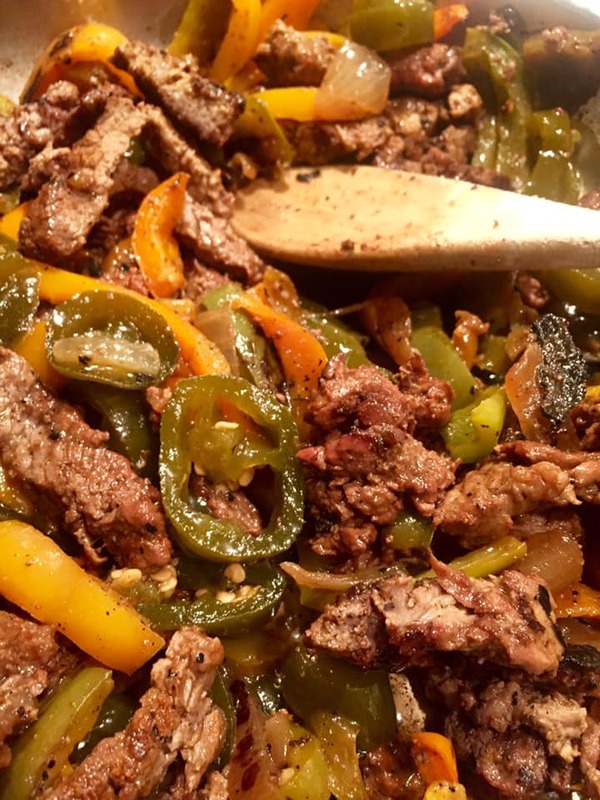 This recipe is sent to us by one of our Pepper Fans, Mary in St. Louis, Missouri. Creamy, and loaded with a mouthwatering combination of ingredients. Corn, cotija cheese, avocado, bacon, candied jalapeños, cilantro and chipotle chile powder for the perfect amount of heat! Mary says, “don’t hesitate to add more of the candied jalapeños to this as I always end up adding about another 8 rings to the mix.” Be sure to use the chipotle chili powder vs chili powder for that smokey pepper flavor. In a large pot over low heat, melt cream cheese and butter. Mix in milk until mixture is smooth and creamy. Stir in chipotle chili power, salt, cumin. Stir in corn, 3/4 of the avocado, 3/4 cup of crumbled cotija, 3/4 of bacon, cilantro and candied jalapeños. Cook for a few minutes, stirring frequently until all ingredients are heated. Transfer to a small crock pot set to warm. Garnish with reserved avocado, cotija cheese and bacon. Serve immediately with tortilla chips. Posted on January 28, 2019 by Campbell Gardens. Cities and States We Have Shipped To! I often wonder when shipping out an order just how in the world did they discover our candied peppers in Florida or Arizona? I know it is through one of three ways. Sharing by friends or famly, or they ran across us at an event and tasted a sample or by doing a search for candied jalapeños on the web. I thought it would be fun to see all the places we have shipped to in the past couple of years and I was shocked at how spread out our sweet and spicy products are in the USA. PS: This does not include the military bases out of the USA we have shipped to thorough the years. If you click on the link you will see our map and if by chance your city is not on there and you have a jar in your fridge, don’t hesitate to send us a email at : candiedjalapenos@gmail.com and I’d be happy to add you to the map. We appreicate you sharing and spreading the pepper love around, as we are a small business who took our passion of spicy public. By spreading the word/jar, you help keep alot of our farmers, our co-packer, our help busy, doing what they and we love. I can’t even begin to tell you how many small business’s are affected by the purchase of just one jar! Thank you from the bottom of our spicy hearts! Posted on January 27, 2019 by Campbell Gardens. I have used our candied jalapeño brine in our chili and have loved the spicy, sweet flavor it imparts to the chili. It was not until David on our Facebook page suggested we try the candied garlicky pickle brine that I even considered trying it . With such a recommendation we could not let it pass the next time we made chili. WOW! 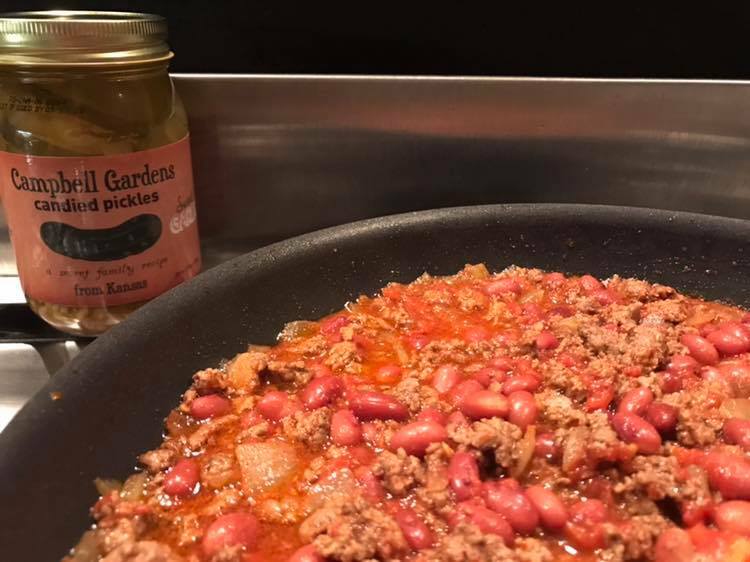 It added that sweetness that cut the tomato acidity taste and the flavor of the brine added the finishing touch to the chili. I think it will be my “secret ingredient” from now on! I’m sure we would win a chili contest!!! Posted on January 9, 2019 by Campbell Gardens. My friend Ann at Say It With Plates made this for us! We share the bricks at the KC City Market every year from Spring to the Fall then we both hit the circuit of festivals and events the remainder of the year. She found the peppers off a New Mexico plate and I think they match our logo perfectly! Ann does custom work and has a artist eye in how she looks for just the right letters and then puts them all together. They make great gifts througout the year! You can find Say It With Plates on Facebook. Posted on December 14, 2018 by Campbell Gardens. Closet Cooking has some delicious recipes and this is just one of them! Can you imagine coming home to a crock pot of this? YUM! Posted on December 10, 2018 by Campbell Gardens. Ham & Cheese Sliders on the Menu Tonight! My good friend Bill with Little Bill’s Pimento Cheese shared his Thanksgiving leftovers recipe. He crisped the ham in a pan with candied jalapeños and a little brine. Added some cheese and placed it all on Thanksgiving rolls. Looks delicious and what a great way to use up the leftovers! If you haven’t tried Little Bill’s Pimento cheese you don’t know what you are missing out on. Freshly made, full of cheesy flavor and great to serve over the holidays! I like to substitute his pimento cheese instead of the cream cheese on our #1 Favorite Treat! Posted on November 27, 2018 by Campbell Gardens. A Fantastic Review of our Pickles! Posted on November 19, 2018 by Campbell Gardens. Casting A Magic Spell On Halloween! You can't eat just one!!! Posted on November 2, 2018 by Campbell Gardens. 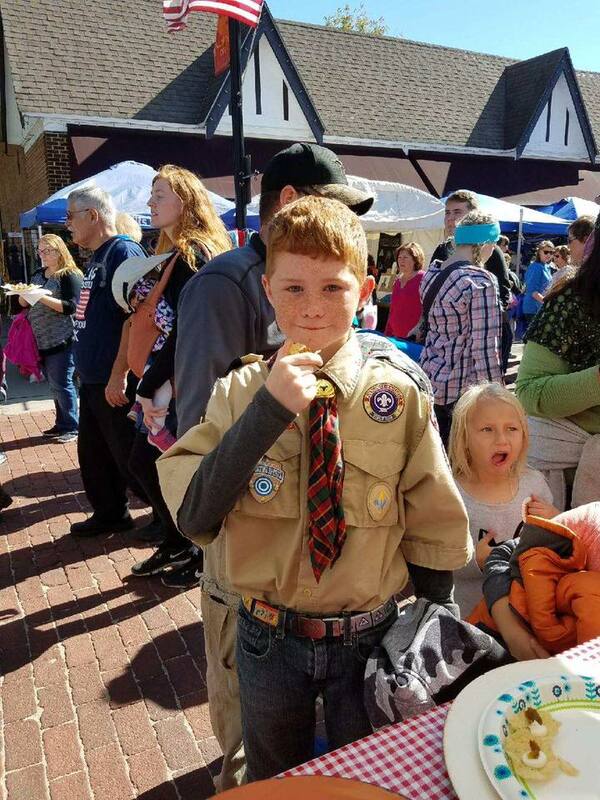 Even the Boy Scouts Love Our Peppers! Posted on October 19, 2018 by Campbell Gardens. 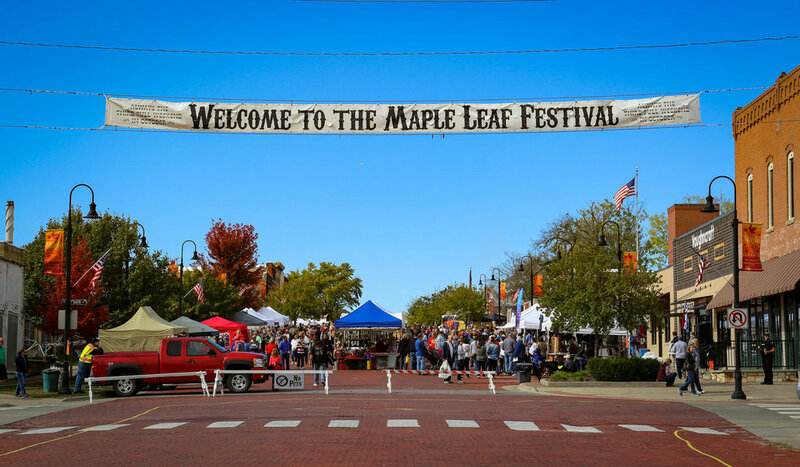 This is where you will find us this weekend, October 20 & 21! This is one of my "I want to put it on everything sauces." It only takes 5-10 minutes to make. 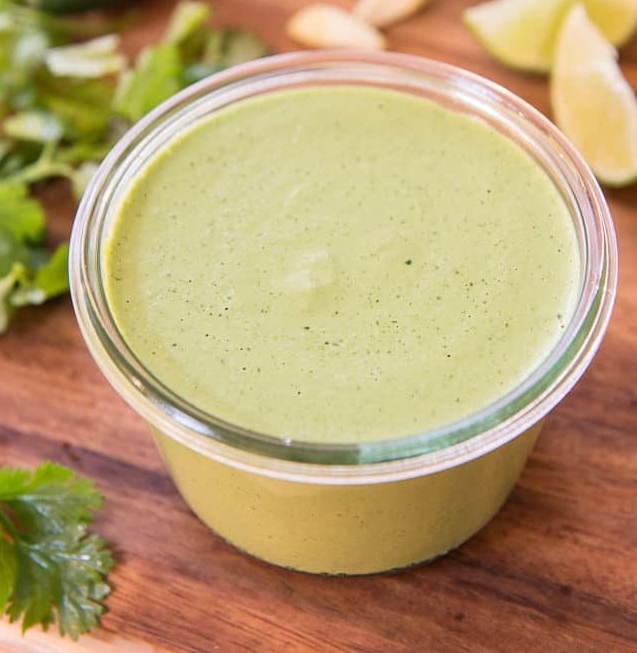 I love to use it as a dressing, dip and even a marinade. Chicken Wraps are my one of my favorite ways to use it. Using a slotted spoon, transfer the candied jalapeños to a food processor and pulse until the mixture is finely chopped. Transfer to a small bowl. In the food processor add mayonnaise, cilantro, garlic, lime juice, cumin and pulse until smooth. Add the minced candied jalapeños. Season with salt. Pour mixture into a quart jar and cover with lid, and refrigerate until flavors blend, at least 1 hour. Can be kept in the refrigerator for up to two weeks. Posted on August 7, 2018 by Campbell Gardens. Who doesn't love deviled eggs and there are so many variations on the standard recipe. 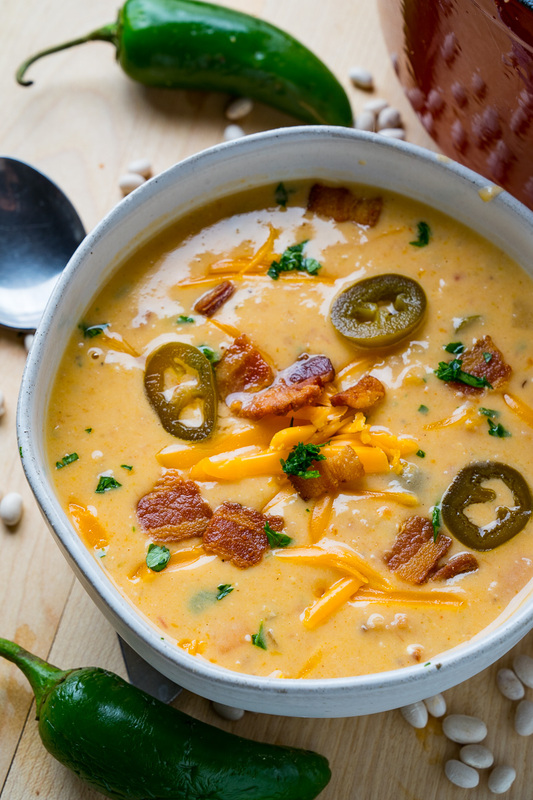 This is one that I found works really well with our sweet and spicy jalapeños. An explosion in every bite! My NEW FAVORITE way to cook eggs! In a large pot place a steamer basket and fill until the bottom of the steamer is covered. Place eggs in the steamer and bring water to boil and then turn to a simmer and place a lid on top of the pot for 15 minutes. Place eggs in a pan of ice water and let cool before peeling. Perfect every time! Posted on July 3, 2018 by Campbell Gardens. I was out stocking stores today, and I ended up in Leavenworth, Kansas. There was no way I could leave that town and not check up on Sonia. Many years ago a nephew and I attended a show in Salina, Kansas. It was a Girl Scout show call See and Sell. Two ladies discovered our candied jalapenos that are still devoted fans to this day. Rita worked for the highway patrol in Salina and would call me to place orders for not only herself but her fellow officers. To this day she still shares with her friends and family and now lives in Hays, Kansas. I have never really "met" her, but I feel we are the best of friends! She follows us on Facebook and is always commenting on the posts and sharing recipe ideas. The other lady is Sonia, her husband was in the military, and she often entertained their friends and college students. She has ordered cases from me through the years and always tells me who she is sharing with and how she is serving them. When her husband passed away a few years ago, she moved to be with her daughter and granddaughter in Leavenworth. The minute she was settled in she called to let me know she had moved and was ready to stock the pantry with peppers. I took my folks along for the road trip, and we met her. She has a beautiful place in the country, raises Lamas and already is the social butterfly with the guys who worked on her home and neighbors. In fact, when we pulled up a friend was hoping I had an extra case for her. Sonia hooked her brother up with our peppers when she was visiting him in Arizona. He is one of the Gold Rush miners and has a TV series. He also likes to share with his fellow miners. I get orders from them letting me know how they discovered our Kansas peppers. Sonia and her friends asked me to stock them in Leavenworth, and that is how Gronis Hardware and Westlake Ace Hardware in town started carrying our peppers. They now send all their friends to the hardware stores to get their peppers. Today, I had Sonia on my mind. I hadn't heard from her in awhile, and for some reason, I felt the need to check in on her. I'm so glad I did. She was getting ready to head out the door to her "job" of teaching the blind at a school. She had been busy working on her place and keeping up with her farm. 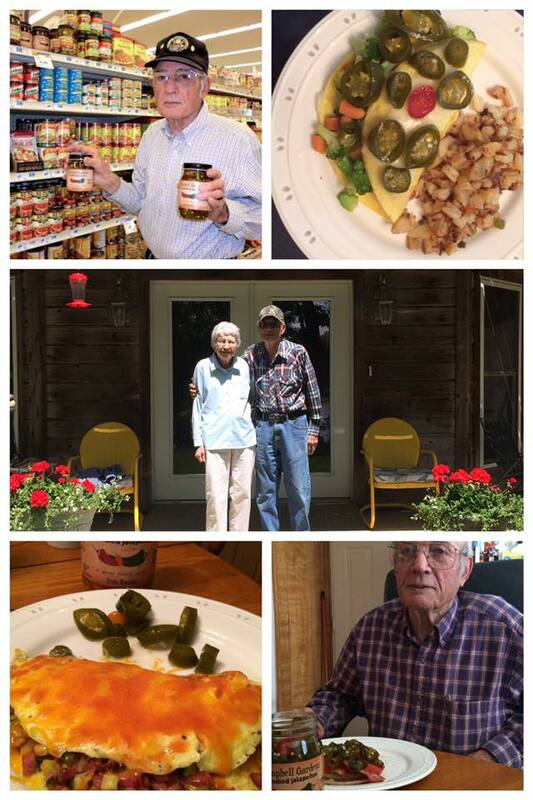 She checked her pantry while I was there to be sure she had peppers and told me her grandson would eat them straight out of the jar and how she now gives him a little bowl of them whenever he sits at the table. She also mentioned a wedding at her place and how she intended to have them serve the candied jalapenos appetizers. As I was leaving Sonia told me she would turn 80 this year. She is indeed an amazing woman, friend and huge supporter of Campbell Gardens. I left her a jar of the pickles for her to try and will be waiting to hear her response. Life is a journey, and those of you along the way whom one bumps into makes it a memorable trip. Thanks to all of you who have "bumped" into us, you have all made an enormous difference in so many ways. Posted on June 13, 2018 by Campbell Gardens. The summer heat is kicking in and I'm all about not heating up the kitchen! This pork shoulder roast took a tropical turn when I added pineapple to the crock pot. It's sweet, sticky, spicy with pineapple chunks that will take you to the islands! In a small bowl add the sweet onion, candied jalapeños, soy sauce, hoisin sauce, pineapple chunks, garlic, ginger and bell pepper. Stir to combine. Place the pork in the slow cooker, fat side up. Pour the pineapple mixture over the pork. Cook on low for 8-9 hours or high for 5-6 hours. When pork is done, place on a cutting board to rest 10 minutes before shredding or cutting into chunks. Reserve the liquids into a glass bowl. Chill in refrigerator to separate the fat. To crisp the pork up like carnitas you can use a large skillet over medium-high heat, add a spoonful of the fat and the pork. Cook for 5 minutes turning as needed to crisp. In a large bowl add the cooked bell peppers, pineapple chunks, reserved liquid and pork. Combine and serve on flour tortillas. Posted on May 31, 2018 by Campbell Gardens.